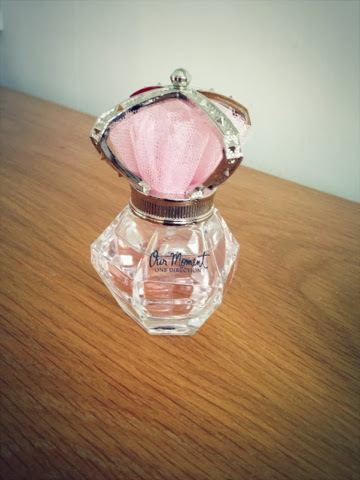 The first product is the 'Our moment' perfume by 1D. I was extremely happy when I received this for Christmas, I literally adore the scent, it's really sweet and girly. I didn't want to use it at first because I didn't want to waste the perfume, however this month I've been using it on a daily basis and loving it. 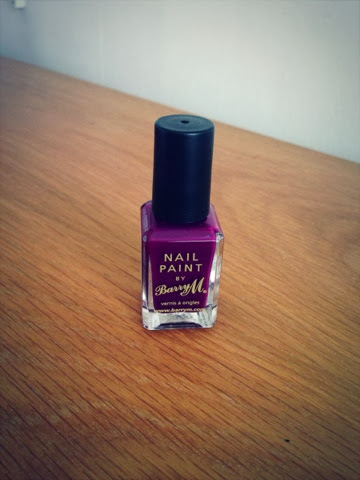 The next product is this Barry M nail polish in the shade 'Berry Cosmo'. This colour is beautiful, it's a deep purple with burgundy undertones, which gives it this elegant effect. It's probably one of my fave Barry M polishes I have! 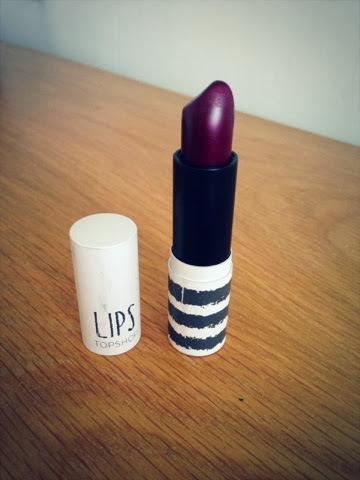 The next favourite is this Topshop lipstick in the shade 'beguiled'. It looks deep purple in the picture however when applied to the lips, its a dark burgundy pink shade which I love. I like to wear it on a night out with a neutral eye and winged liner. The next product is the Urban Decay primer potion in the travel size. I received this when I purchased my smoked palette as it came with it. 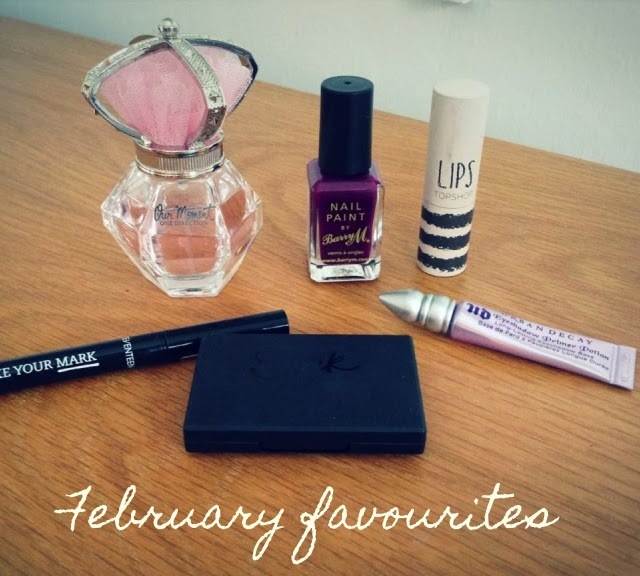 On days I've been wearing eye shadow this month I've popped this on before hand and it worked a treat! It's probably one of the only products which help keep on my eyeshadow and stop it from creasing. When this runs out I'm definitely going to buy the full size! The next product is the amazing sleek blush in 'Rose gold'. 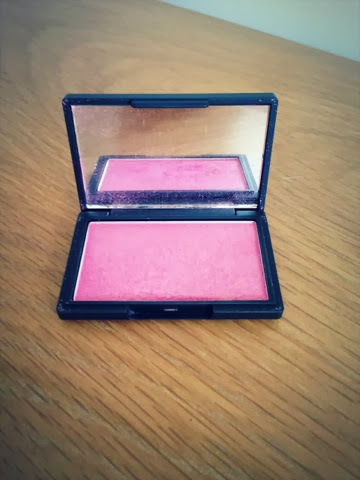 I cannot explain to you how much I adore this blush! It's a pinky shade with glitter running through meaning when applied to the cheeks it highlights them too. The colour, the application and the packaging I love, a must buy. 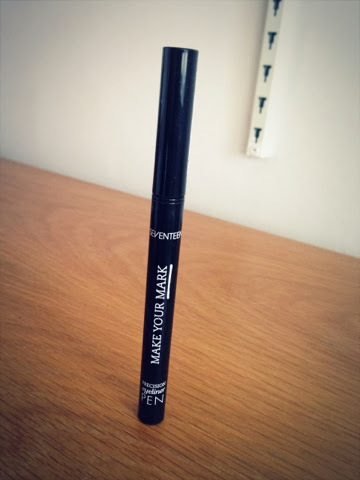 The last product is a felt tip liner by Seventeen. This is my first product from them and I'm quite impressed. The liner easily glides on and stays put for most of the day. It's good quality for only £4! 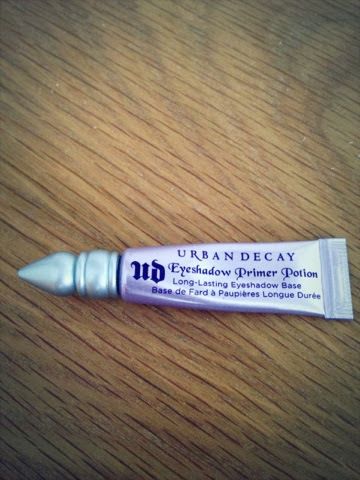 I love the Urban Decay Primer Potion, it really helps the eyeshadows not crease. That perfume bottle is cute. I have not seen or smelt it!! That barry M nail varnish is AMAZING!